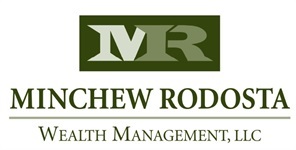 Amanda “Mandi” Minchew is a Co-Founder of Minchew Rodosta Wealth Management, LLC. As an experienced LPL Financial Advisor with more than 15 years of success in the financial services industry, she prides herself on providing exceptional and ethical services, as well as, trusted advice that has resulted in overall client satisfaction, referrals, and repeat business. 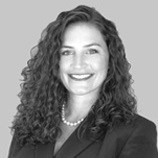 Through in-depth conversations with clients, Amanda assesses their goals, objectives, and current financial position. She evaluates each client’s situation in order to recommend the appropriate options to pursue the client’s specific lifestyle, short and long term goals, risk tolerance, and tax exposure. By developing a personal relationship with clients, Amanda is able to prepare a plan for their future, as well as, monitor their results and help ensure clients stay on track. While working closely with her clients, Amanda uses her accounting expertise and extensive knowledge of the securities industry and markets. Combined with a caring approach, Amanda analyzes and interprets clients’ objectives in light of various factors. She then provides customized financial recommendations suited to those objectives while complying with all industry-related laws, regulations and policies within the various states the firm conducts business. For business owners, in addition to personal services, Amanda offers business continuation planning, family estate planning, business 401(k) planning, and insurance planning.